Home/Community, Pride Events, Pride News, WorldPride/Let’s go to WorldPride 2019! New York City will be hosting the 2019 edition of World Pride, to coincide with the Stonewall 50 celebration, next summer. Boston Pride will partake in the celebration, including marching in the World Pride Parade and tabling at the World Pride Festival, among many other events. We are putting together an organizing team for this series of events as well as to produce World Pride and Stonewall 50 events in the Boston area. Interested in joining the team? Contact Tina for more info! 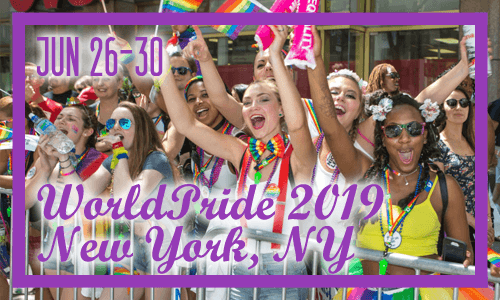 Want more information about World Pride 2019 events? Check out their website here.